Hello crafters! Kim here to share ideas for storing your Framelits, Nestabilities and Spellbinder dies. I’ve been saving these ideas on a Pinterest board and I have actually tried 3 of them! Don’t you just love all of the clever ideas that crafters share? My favorite ideas always involve the storage ideas that also include a craft project! By far the most pinned idea involved some kind of magnetic sheets or strips to hold the framelits in some way. There are just so many creative variations on this idea! Many people recommend magnetic vent covers or magnetic picture sheets that you can purchase for just a couple of dollars at your local pharmacy or hardware store. The first idea comes from Jayne Stamps. She uses magnetic sheets on the inside of her craft cabinet doors. Personally, I drooled over this picture. She has an entire cabinet devoted to her various dies. Just looking at it makes me happy! I found several ideas using these binders with the clear sleeves. This one uses magnetic sheets to hold the framelits in place inside the plastic sleeves. This idea comes from Sharing What I Love with Tami Chronowski. I’ve tried this one and I found the binder didn’t close that well after adding a few sets of framelits. Many people use this successfully and it fits great on your shelf or craft table. The next idea comes from Leigh O’Brien at Sunflower Studios. She cleverly uses a magnetic white board with magnetic clips. This is beautifully organized with tags to label the various sets. Another clever idea that will store easily is to use DVD cases or clear stamp cases sold by Stampin’ Up! This idea was shared by Beth Crocker of Southern Inkerbelles. She showed two ideas. In one picture she shows how she stores the framelits in the case with the coordinating stamp set. In the other, she shows how she stores them in their original envelope. In both cases, I love how she uses her Designer Papers to make it prettier! This is also a great way to use your leftover scraps of paper! You can see that she has a magnetic sheet behind the designer paper in both cases! 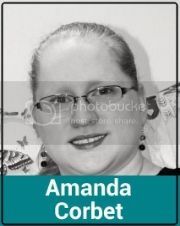 Our own Amanda Corbet from Crafting Creations shared her scathingly brilliant idea (I love that description Amanda!) of using a frame that she painted, magnetic sheets and some pretty paper. It looks like art and I bet it looks great in the room too. If you are anything like me, you like to have things out where you can see them so that you remember that you have them…you will actually use them too! Finally, there are several box and drawer storage ideas that hold the framelits in the original envelope. You can see that some people have created their own boxes while others use purchased boxes. Adding labels and tabs makes it easier to find what you’re looking for as you thumb through the box of framelits. I love this one with the handmade box shared by Sam Donald from Pootles. She includes a video tutorial to show how she created them! This is a fun idea. When you need room to grow, you can just create another box as your stash grows. Karen from Still Young and Croppin’ shared this great file box storage idea. She has several more pictures on her site with a wonderful description of the components that she used to create this system. Don’t you love the labels? You can so easily find what you’re looking for without pulling them all out! There are so many clever ideas, that it’s truly difficult to pick one! You just have to find one that works with your space, your budget and your crafting style. We would love to hear how you store your framelits, Spellbinders and Nestabilities! Please leave a comment below and let us know what’s working for you! Happy Easter from all of us at CSI! Author NoelleMcAdamsPosted on April 3, 2015 April 2, 2015 Categories UncategorizedLeave a comment on Happy Easter from all of us at CSI! Hey there, Jessica here! I ADORE my distress inks. If my craft room was on fire and I could only save one thing…I’d save my distress inks. I love their versatility and all the bright, cheerful colors! When I bought my first distress ink pads last year I just threw them in a drawer with the rest of my ink pads. As I started using them I found myself keeping them out on a regular basis. Then I discovered distress markers…and the reinkers…and the blending tools…and I was in trouble. If you couldn’t tell I get a little excited about organizing supplies in my craft room! 🙂 I hope this gives you some ideas for how to store your distress inks and supplies!